SAN FRANCISCO (KGO) -- Soaking rains last weekend helped to erase the drought in some parts of Northern California. According to the National Weather Service roughly 8 percent of the state is now drought free, the largest area since March 2013. 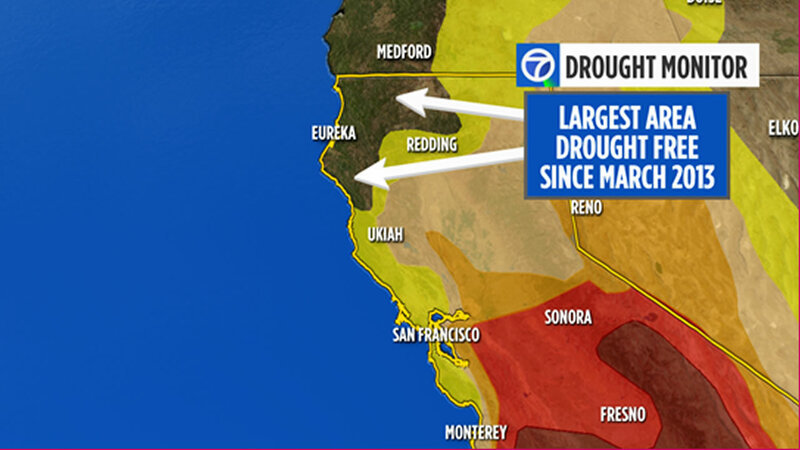 While the Bay Area has seen a wet October so far, it has had little impact on our drought. Long-term impacts, like raising our reservoir levels, largely remains unchanged. It's worse in southern California where 21 percent of the state remains in the "Exceptional drought" category. The state will need more soaking rains to really make a widespread impact with our ongoing 5-year drought.